Evaporation is the process of water in liquid form turning into water vapor. 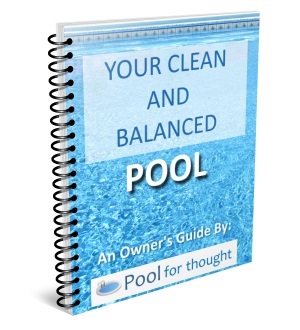 This process occurs naturally in swimming pools, decreasing the overall volume of water present in the swimming pool. What does Evaporation mean for swimming pools? Evaporation is the vaporization of a liquid occurring from the surface of the liquid. Water molecules are excited as they are exposed to energy, and eventually some of these molecules escape the surface of the water. Evaporation is a natural and essential step in the general cycle of water. Factors such as the temperature of the water and relative humidity of the surrounding air determine how quickly evaporation occur. The more heat applied to water and the drier the surrounding air, the more readily evaporation will occur. Solar heat from the sunlight is the primary heat source driving evaporation. This occurs much more rapidly in outdoor swimming pools where the water surface is exposed to air, allowing water molecules to escape the forming water vapor. The surrounding dry air easily accepts this water vapor. Pool owners should understand the basics of evaporation and how it plays an important role swimming pool management to make sure constant water level is maintained and water lost to evaporation is replaced. 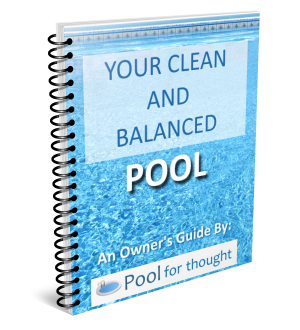 As swimming pool water is lost to evaporation, levels of cyanuric acid, total dissolved solids, calcium hardness, and any metals such as copper will tend to rise as less water remains in the pool compared to the amount of materials dissolved in the pool water.